This fabulous 4 bedroom, 2 bath cottage with walk-out lower level has loads of charm. With over 2800 finished square feet this cottage is ideal for hosting two small families looking to get away from it all. Panoramic big lake views from the deck or dock make this property the perfect place to kickback and relax with a glass of wine and a spectacular view of the sunset. The flat grassy property serves perfect for the kids to play with gradual entry to the sandy beach. Muskoka Mindfulness is located in desirable Vernon Shores on fabulous Lake Vernon. This 4-chain lake in northern Muskoka offers 40 miles of boating including access to charming downtown Hunstville. There you will find grocery stores, quaint little shops, a movie theater and lively patios serving up great food with great views of the lake. 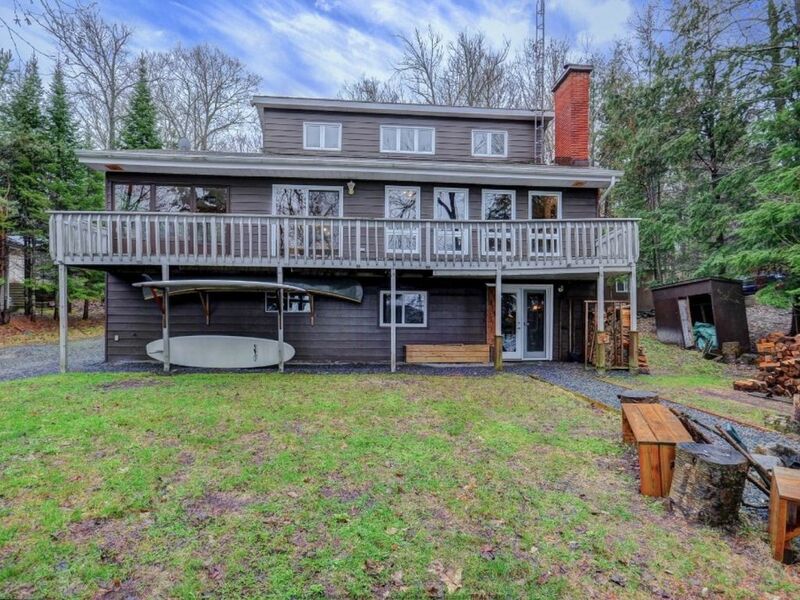 This 2 story cottage comes with 100 feet of water frontage, canoe, kayak and stand-up paddle board for lots of water activities. Starting your morning off with a cup of coffee on the dock, watching the sun peak over the tree line, is simply good for the soul.